Artists are awesome people that can turn a piece of junk into an enjoyable object pleasurable to one’s vision and delightful to the mind. Some artists adore the moment when logic is defied and conventional thoughts are transgressed. Some are obsessed with the joy of tampering with the murky boundary between madness and sanity, reinvention and conformity, rebellious and restraint; All for the sole purpose of attaining a stimulating artistic experience, and for a final aesthetic creation. The London-based, Italian designer Martino Gamper must be one of those awesome artists. One of his greatest projects, a mission of creating 100 chairs in 100 days, is a thought-provoking endeavor redefining the conservative meaning of a “chair”. A chair is more than just a seat of quadruple legs, or an object of comfort with arm rests and back-support. 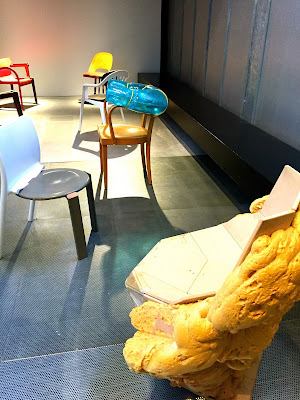 Chairs are artistic inventions of various forms and shapes, beyond their mere functionality and appropriateness. The final constructions are expressions of beauty, humuor and absurdity. For a period of two years, Gamper rummaged through unwanted garbage, and collected disused chairs from the London alleyways and friends’ home. He then reassembled the materials- one per day- into some chair-like objects of limitless possibilities. 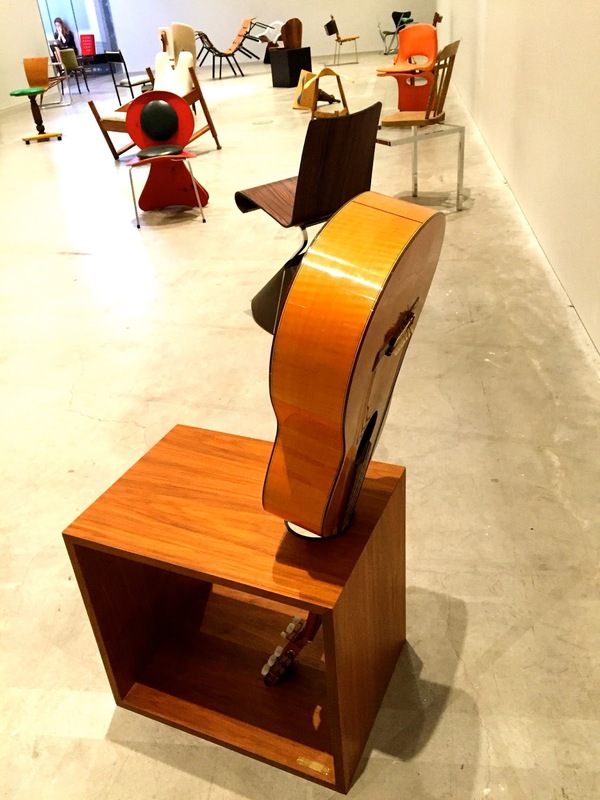 “Musical chair” is not just your nostalgic childhood game; it is a strange merger of a discarded acoustic guitar and a wooden storage cube. Symmetrical order is not an element to be treasured; a deserted chair with a missing armrest and irregular length of legs is a beautiful artistic composition pleasing to the hearts. A rejected bicycle saddle left in isolation is a seat to be desired in its regal green velvety cover. This unique exhibition of chairs will stay in Melbourne till this Saturday, 9 April 2016, at the RMIT Design Hub. Admission is free.